We’ve got a lot of love for Instagram and every one of our fabulous followers, so to give a little back we decided to launch monthly competitions giving YOU the chance to win 5L of Earthborn paint and a treat from one of our like-minded friends. For April we’re teaming up with The Kind Store – a 100% vegan, natural and eco-friendly shop. We’re totally taken with this concept, it has a true heart of gold and is our new go-to destination for ethical, sustainable essentials. Cue, our prize! 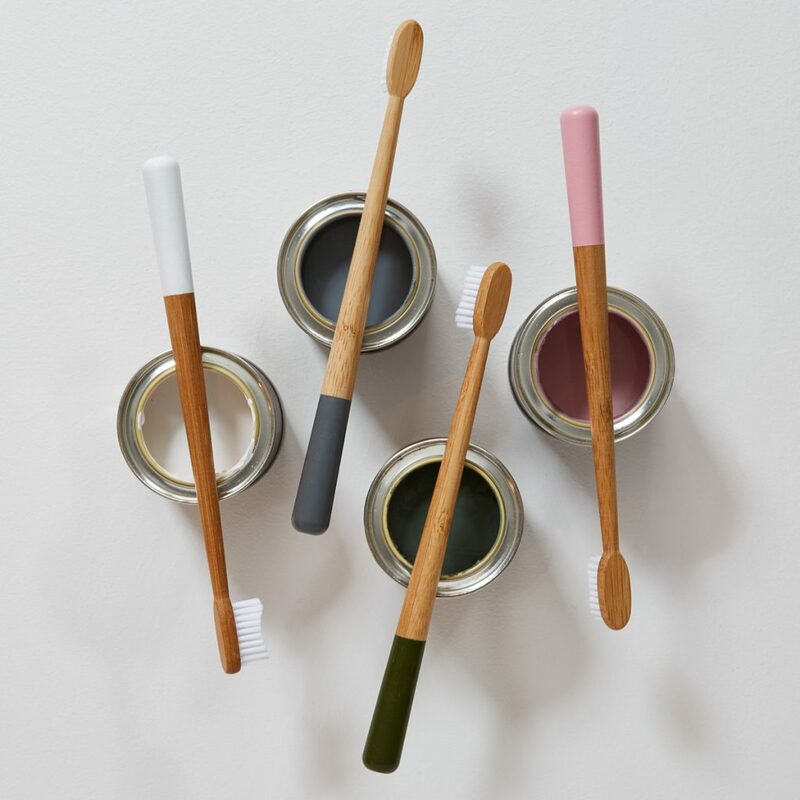 A year’s supply of bamboo toothbrushes, dubbed ‘The Truthbrush’. Not only will these look absolutely gorgeous on your bathroom sink with a different coloured detail for every season, but they’re also biodegradable. Your Truthbrush set comes packaged in The Kind Store’s exclusive organic cotton gift bag, with their intricate logo printed in vegan eco ink. You get the idea, everything is done well, with wellness at its centre. Enter our competition HERE and head over to The Kind Store’s website to discover other, everyday changes you can make to live a kinder life. A few of our favourite things include the Vanilla Lip Butter, and the Stainless Steel Straws.